With renewed focus, CAIT and its Region 2 UTC consortium partners are developing practical tools and methods that improve infrastructure health, durability, and resilience where they are needed most—close to home. 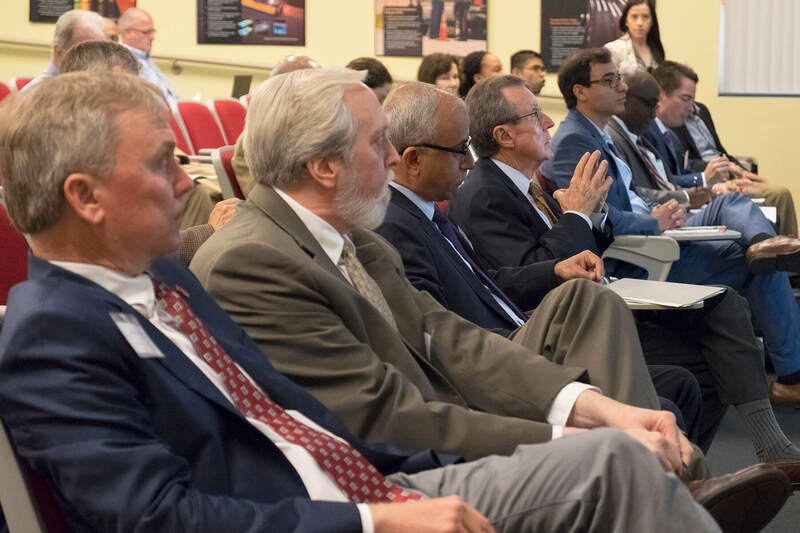 The U.S. Department of Transportation (USDOT) selected the Center for Advanced Infrastructure and Transportation (CAIT), part of the Rutgers School of Engineering, to lead a consortium of universities that will compose the USDOT Region 2 University Transportation Center (Region 2 UTC). Region 2 comprises New Jersey, New York, Puerto Rico, and the U.S. Virgin Islands. Members of the Region 2 UTC consortium reflect this strength and diversity: Atlantic Cape Community College, Columbia University, Cornell University, New Jersey Institute of Technology, Polytechnic University of Puerto Rico, Princeton University, Rowan University, SUNY–Farmingdale State College, and SUNY–University at Buffalo. In addition to the consortium partners, CAIT also works closely with many related organizations within and outside of Rutgers, including the Edward J. Bloustein School of Planning and Public Policy. “Two inventions developed at CAIT won the American Society of Civil Engineers’ prestigious Pankow Award for Innovation in 2014 and 2017. 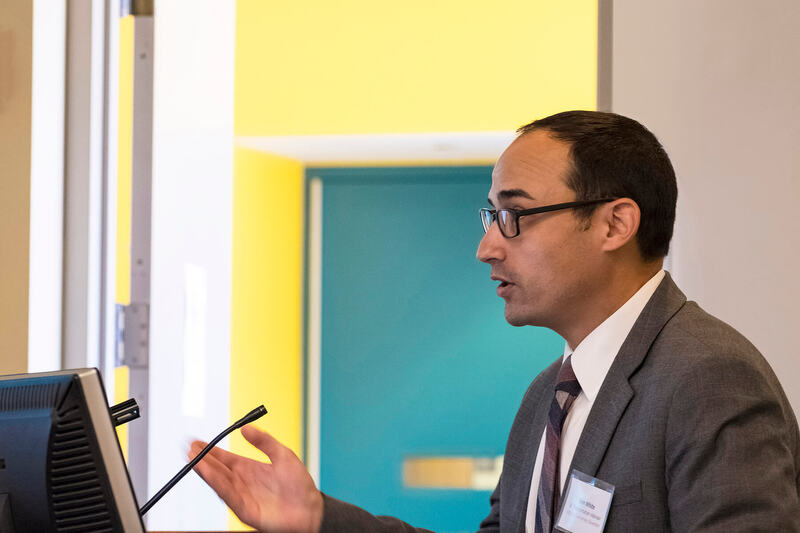 Whether our innovations take the form of robots that help assess bridge health or asset management approaches that help squeeze every penny out of tight budgets, the center strives to serve transportation agencies and the public good,” Maher said. For more information on USDOT’s UTC program, visit transportation.gov/utc. The Region 2 UTC consortium focuses on multimodal research and product development for infrastructure health, preservation, durability, resilience, and efficiency. The center’s education and training efforts help keep the current workforce up to date and prepare students as future transportation innovators. Images Drew Noel Photography (top L and bottom R), Master Sgt. Mark C. Olsen/U.S. Air Force (bottom L), Nick Romanenko/Rutgers (top R). Morning speakers at the Region 2 UTC kick off meeting (top L to R): Thomas Farris, Dean, Rutgers School of Engineering; Clifton Lacy, Director, Rutgers Emergency Preparedness Infrastructure Center; Debasish “Deba” Dutta, Chancellor of Rutgers University–New Brunswick; and James Hughes, Professor and Dean Emeritus, E.J. Bloustein School of Planning and Public Policy. (Bottom) Vinn White, senior transportation advisor for New Jersey Governor Peter Murphy. Photos ©Rutgers CAIT.